Okay, so I'm finally posting some pictures from our Mt. Whitney trip. Here they are! 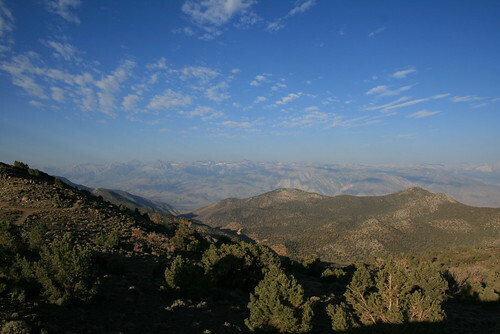 A view of the Sierra Nevadas from the Inyo Mountains. 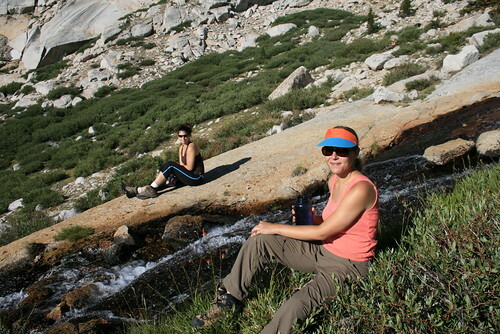 This picture was taken at about 9,000 ft.
Romy and Jenn the day before the big hike. Mt. Whitney is in the background. It's the peak right above Jenn's head. 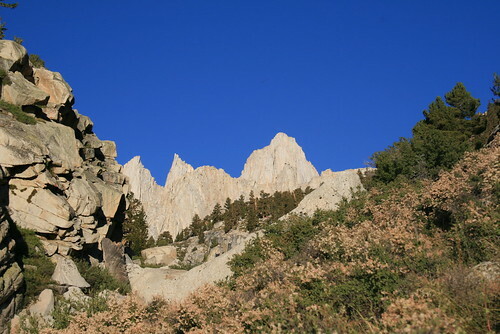 It looks smaller than the peaks in the foreground. 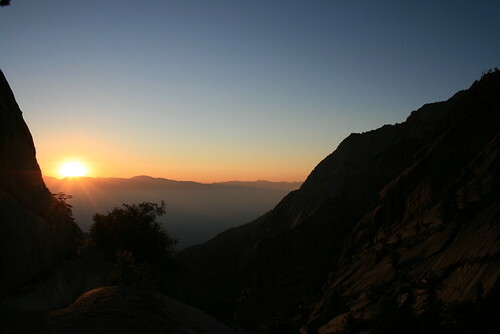 We saw a beautiful sunrise as we were hiking up the mountain side. 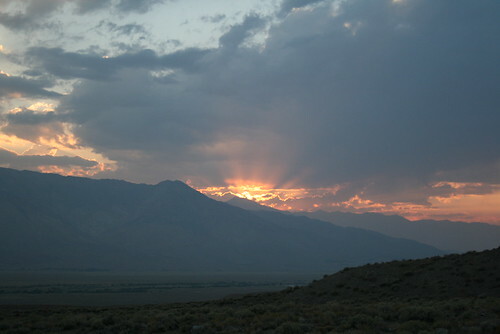 The sun rose from behind the Inyo Mountains and Death Valley. Mt. 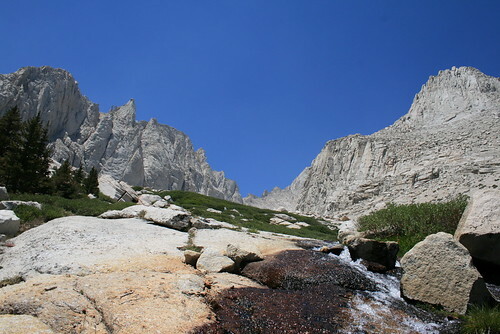 Whitney is the large peak in the middle of the picture. 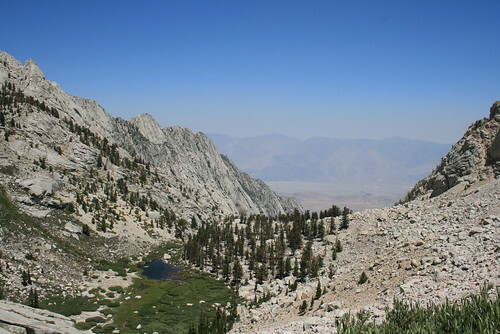 A view of Lower Boyscout Lake from above. A foggy valley below us. Jenn and Courtney take a break from hiking. Romy is ready to hike on. 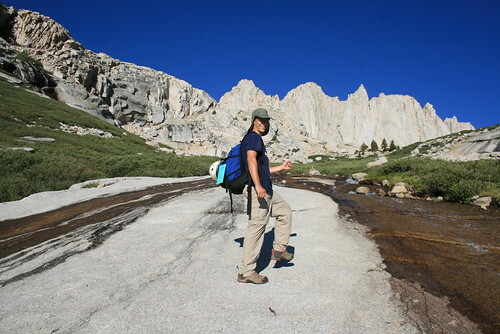 The stream flowed down these granite slabs, which we hiked up during part of the route. Jenn and Courtney taking a break from the strenuous hike uphill! What a nice stream to rest by. The view coming down. 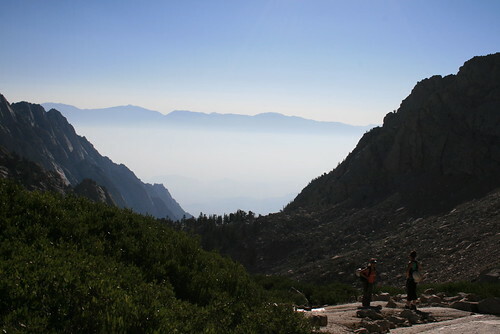 You can kinda see how steep the trail was from the angle that the picture is taken. 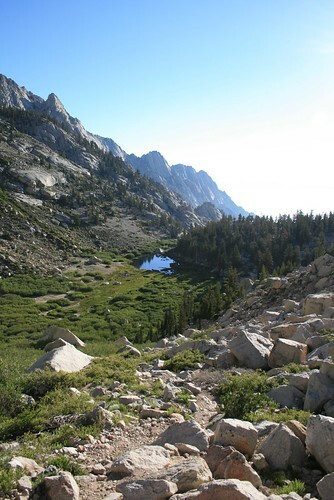 Coming down the mountain, with Lower Boyscout Lake below.